Need a bail bond? Wondering how to begin the bail process? When you or someone you love is in jail, it can be overwhelming and frightening. We understand how daunting it may seem, but we are here to help you and guide you through the process. 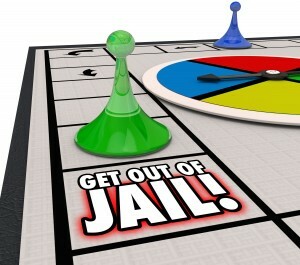 The purpose of bail is to ensure that the defendant shows up for his or her court appearance. The constitution guarantees you the right to bail. Once a person is arrested, they are taken to the local jail for processing. The processing (booking) takes about 1-4 hours to complete. Once the booking process is complete, the arrested person will have the option to stay in jail or bond out. If you’re not able to provide us with all of this information, we can still help you. Just contact us to help your loved one get back home as soon as possible. We will provide you with a free quote for the BOND amount. When a posted bond is agreed upon for a defendant, we will go forward with filling out the forms. To better serve you, we can arrange to meet in person at your convenience. Once the forms are completed and the premium has been collected, we will post bond immediately. We have our Agents available around the clock, 24 hours a day, 7 days a week. If the premium can’t be paid in full, we also offer payment plans. Just contact us to better assist you in this matter. After we have rapidly posted your bond, the defendant will be released within 4-12 hours, depending on the process that occurs at the Correctional Facility and how they release their inmates. For less serious crimes, a suspect may be allowed to post bail immediately after being booked. Depending on the charges, the suspect may have to wait (usually less than 48 hours) for a bail hearing, where a judge will determine if the accused is eligible for bail, and at what cost. The amount of bail depends on the severity of the crime being charged, but is also at the judge’s discretion. Some jurisdictions have bail rate schedules which recommend a standard bail amount. In determining bail, a judge will use a number of factors besides any rate schedule, to decide the amount required. He will also consider the defendant’s criminal record (if any), his or her history of showing up for past court appearances, ties to the community, whether the suspect is a danger to others, and any other concerns that may be raised by the defendant’s attorney. In some cases, bail may be waived altogether. Bailing someone out of jail is easier than you may think. You simply call us at (808) 518-3283 to get started, and we’ll walk you through the process.